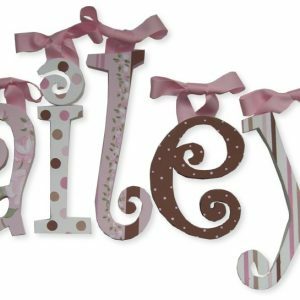 Spell out a name or a favorite phrase with our wooden letters. 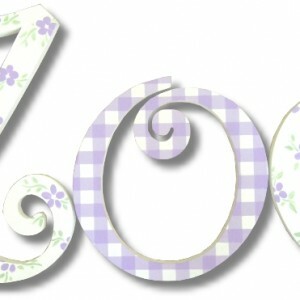 Hand painted white and slightly distressed, our letters are approximately 9″ tall, 13″ including ribbon. Choices for ribbon included with letters can be seen below.